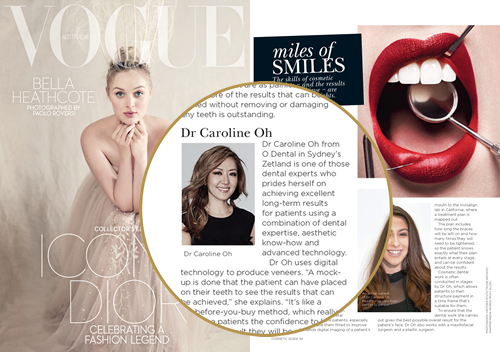 Check out Dentist Dr Caroline O’s feature in Vogue magazine! If you’re searching for a cosmetic dentist in Zetland or Sydney, we can assist you with a range of quick, painless procedures that give excellent, long-term results. With years of experience, an emphasis on cosmetic studies and state-of-the-art technology, the O Dental team can help you get the smile you’ve always wanted. 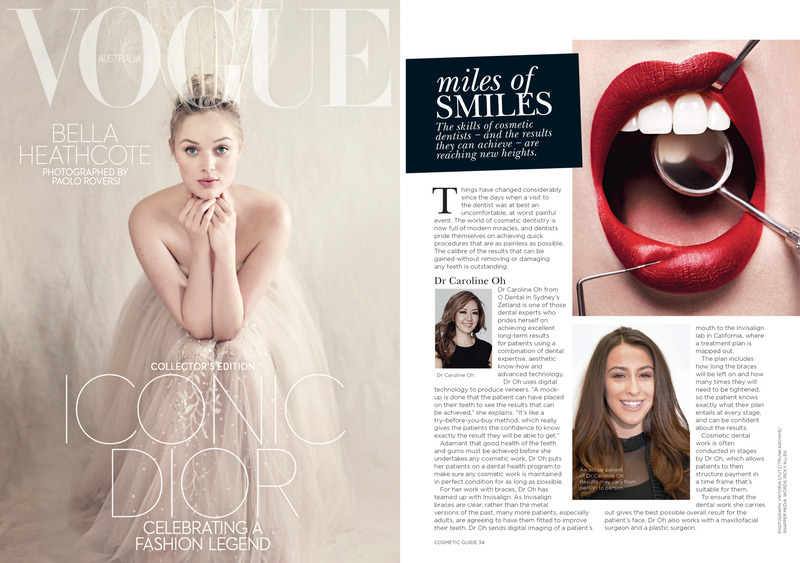 The dento-facial aesthetics offered at O Dental address different needs. If you grind your teeth, injectables can help relieve tension and weaken your muscles, as well as alleviate painful headaches. For cosmetic reasons, we offer injectables to remove crow’s feet, smile lines and gummy smiles. If you have more upper gum showing than you’d like, we can use injectables on your upper lip to improve your smile.